It has been a while I know 🙂 How are you all? Let’s pick up where we left off and keep moving onwards and upwards. I have a lot of posts which I had half-written but never got round to posting in the midst of life’s runaway process. Despite this, I still could not make my mind up about which one to post first, until I picked up the Metro this afternoon and saw the picture of Richard Bransons Virgin Galactic Spaceport and I geeked out. I couldn’t help it. This is actually going to happen. Look at this site. WOW. I remember reading about this proposal way back in 2005 when The State of New Mexico and Mr Branson told the world that Virgin Galactic would operate its space flights from Spaceport America in Mexico which would become “the world’s first purpose built commercial spaceport”. Well don’t you worry, if all goes according to plan by next-year, that’s right, by 2014 you can pay for the privilege to do just that. And by privilege, I literally mean for the privileged few who can afford the starting price for flights at $200,000 (with refundable deposits starting from $20,000). Ok, so the truth is I’m hating. If I could do it, I would do it. Seriously, I think I would pay that much to go into Space. 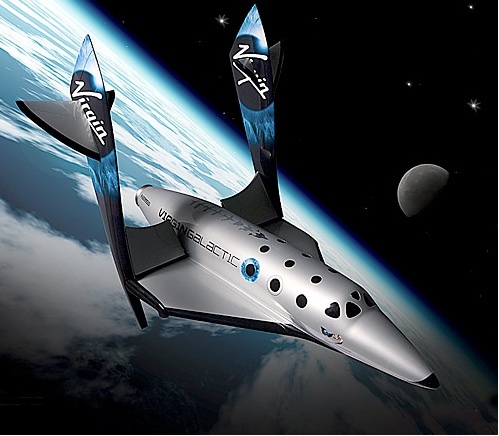 Not only would the experience be a once in a life-time experience for most, but Virgin Galactic are also providing researchers and their experiments access to space. They are offering two main types of research flights that would allow scientists and researchers to carry out experiments in the correct “environment”. To find out more about the research side of things click on this link. Let me know what you think? would you or would you not pay for the experience? I am putting it out into the Universe. I am going to be a passenger on one of these flights. Ok, I said it out loud :-). Now I am going to sit back and listen to this and do the Atmospheric Disco Strutt in my head. Join me please. I wanted to start again with an nice and easy post, but get ready for the Science Theories section to blow up next. Thank you for those of you that stayed faithful and sent me messages of encouragement. You support is very much appreciated. If you are new to the blog, welcome to the experiment. Spread the word and share.